I really like this app and in 2019 I logged over 1,300 miles with it. I like the fact that it keeps a log of the routes I have taken so I can easily show others where I went on certain days. I would like to see the app give me the option of only showing the cutyear total vs all my miles over multiple years. Seems like an easy add to me. Thxs for a great app! Runtastic Premium synchs n uses the Apple watch. This doesn't. That's atrocious n there's only one reason n that's because they are partnered with Garmin n try to get u to buy Garmin Products. It's obvious that u can use the Apple watch like with waking/running n u just choose not too. So, I wasted $35 on Runtastic Premium then $4 on this app became I just figured it worked with the Apple watch simce it's 2019 and all but nope. So disappointed. EDIT; It's obvious they don't care much about this app as it's been 8 months since an update. No app that's useful has that few of updates. Please, use Apple watch n id immediately chance this to 5 Star as it uses everything I need, except for that. I don't wanna take my phone with my on the bikes ride, that's why I got the cellular version of the Apple Watch 4. 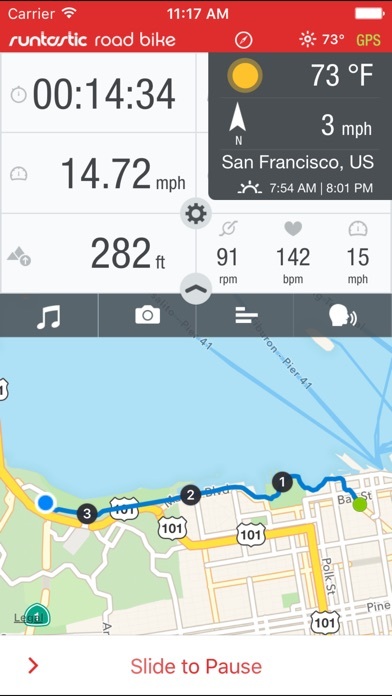 I use for simple mileage tracking jogging and biking. 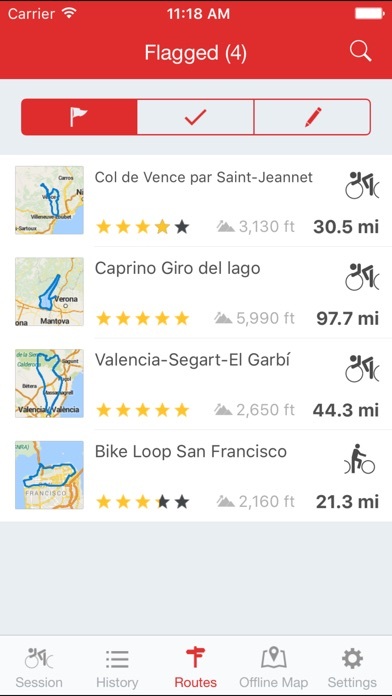 I’ve tried several biking apps and have been in love since I first tried this one. I started with the free app and shortly thereafter ended up purchasing the app. I bike and pace myself based on the voice in my headphones. 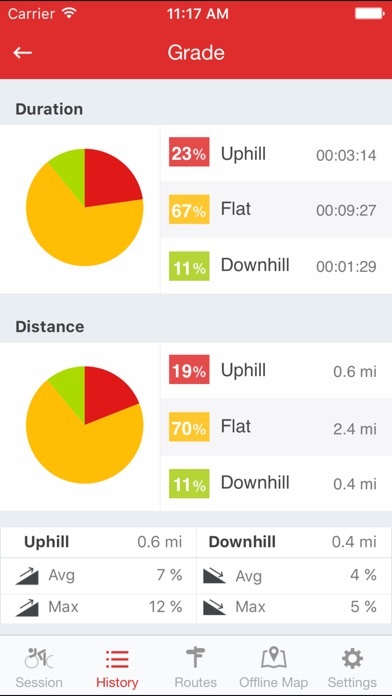 I enjoy looking over the statistics from my session and would highly recommend this app to everyone that owns a bike. Enjoy! The app is pretty close to perfect, but there’s always somebody (like me) who wishes for just a few more tweaks. 1. I use a handle bar mount for my iPhone 6sPlus so just keep the app in view at all times. I wish I could see the clock in the 12-hour format. I’m an Air Force veteran so I know how to compute, but I wish I didn’t have to. 2. I would like to be able to extrapolate more reports. 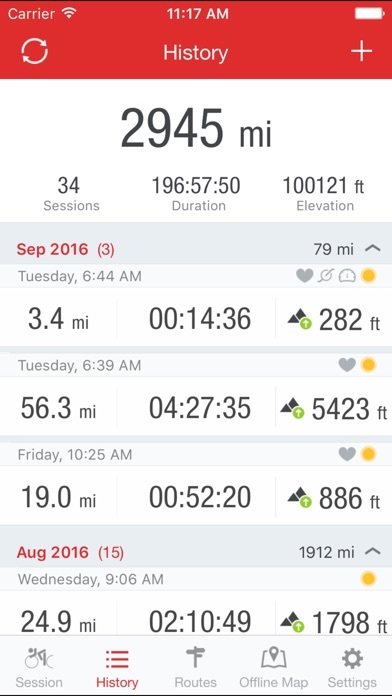 The app totals sessions, miles, hours and elevation. Please give us the calories burned total. 3. 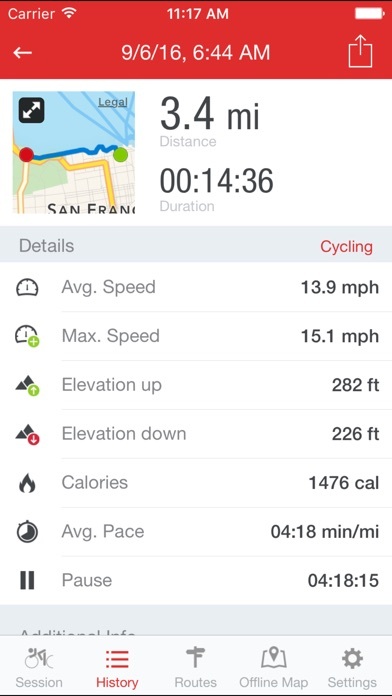 Also, I know the app calculates calories based on speed, distance and time. I would like to be able to see the average calories per month, per year, etc. So I started the app, waited for it to count down from 15 seconds and started my ride. After riding a couple of miles I noticed that I wasn’t getting any updates. I took my phone out and opened the screen and it was at that point that the app started recording my distance. It had been recording my time but no distance until I reopened it. So what’s the sense of being able to hear the countdown and it says “session started” when it doesn’t actually start? I hope they fix his in the next update. But seriously otherwise a great app.